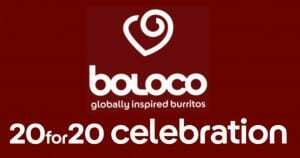 Boloco 20for20 Celebration to Celebrate 20 Years with 20% Discount! 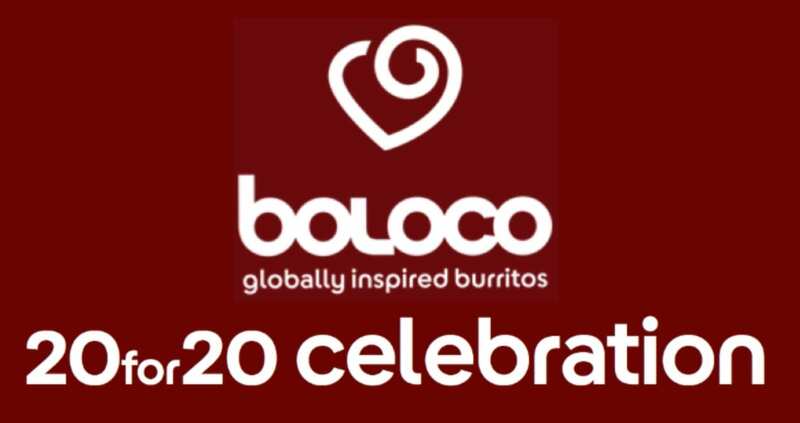 Boloco is celebrating 20 years and will be periodically celebrating 20 years throughout the year! For the rest of March, Boloco is encouraging you to stare at your screen a little longer to order Boloco via the Boloco Passport App for their 20for20 Celebration. Now until March 31, 2017, you will receive 20% off everything when you order through the passport app. You can also earn your way to freebies and more! If you don’t have the Boloco Passport App yet, you can download the Boloco app and get $5 for signing up through my referral link and we both get $5 to Boloco! Sweet! For more information about the 20for20 Celebration, please head here.